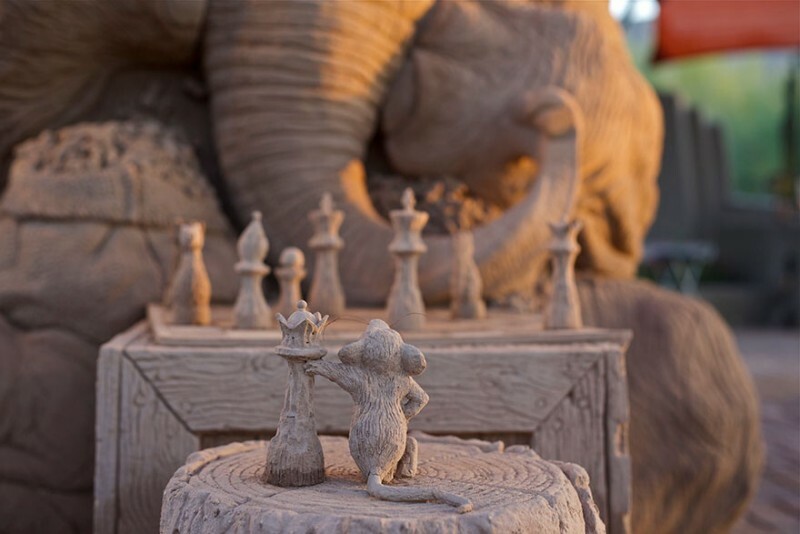 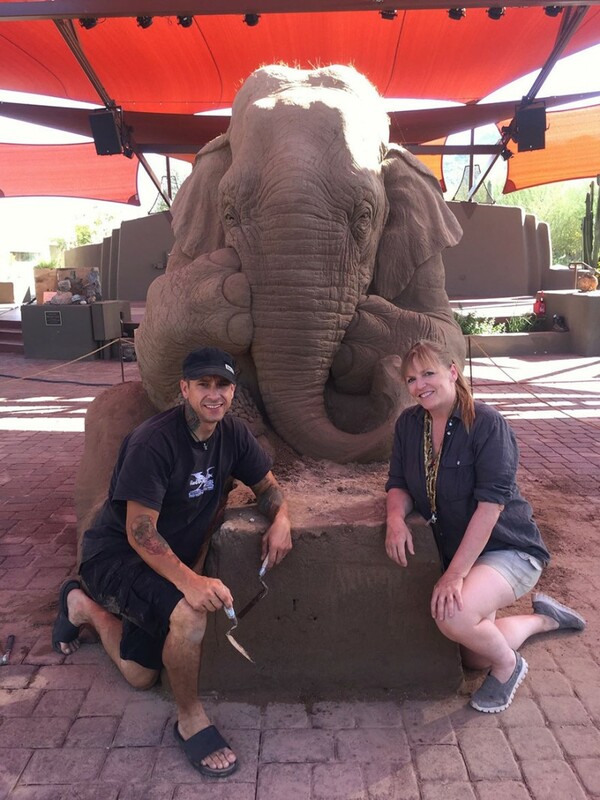 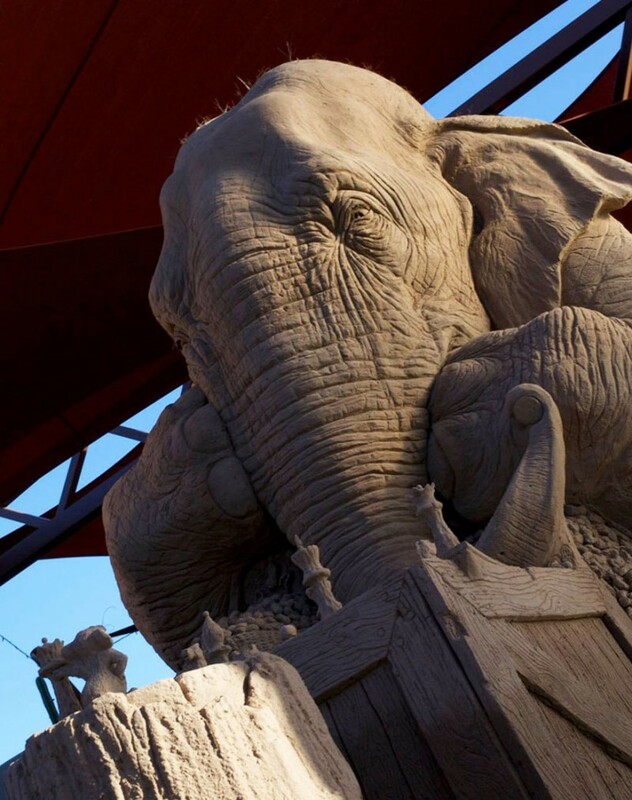 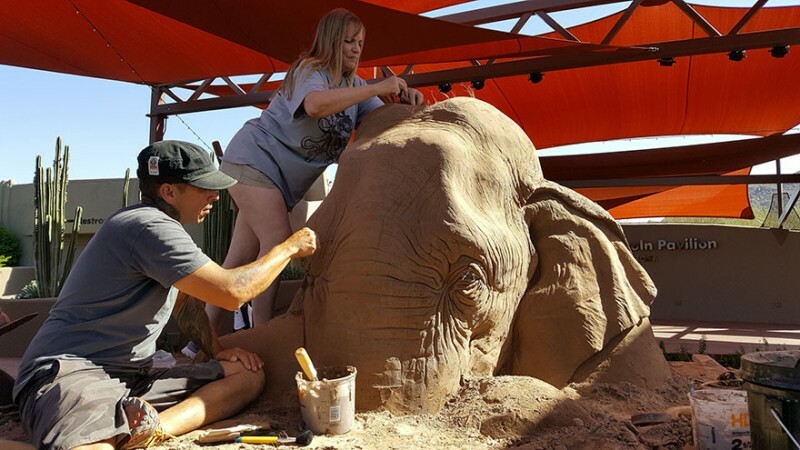 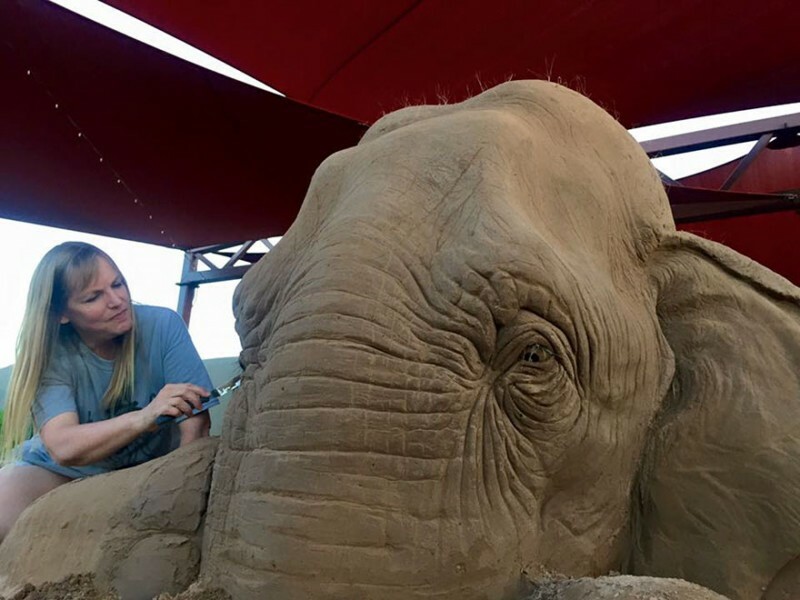 Ray Villafane is a sculptor known for carving pumpkin, recently, who teamed up with artist Sue Beatrice to create a funny and super detailed sand sculpture representing a life-size elephant named Chessie Trunkston playing chess with a field mouse named Hershel Higginbottom. 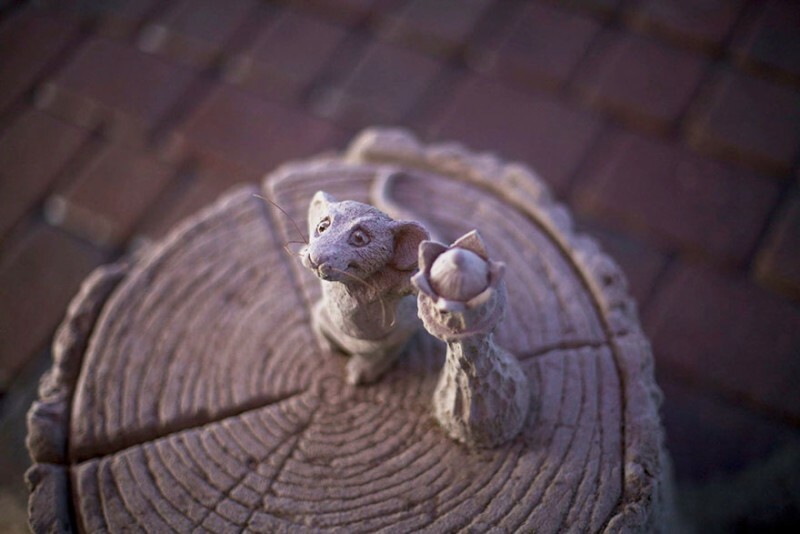 It’s worth mentioning that Sue Beatrice even made up a cute story for the project. 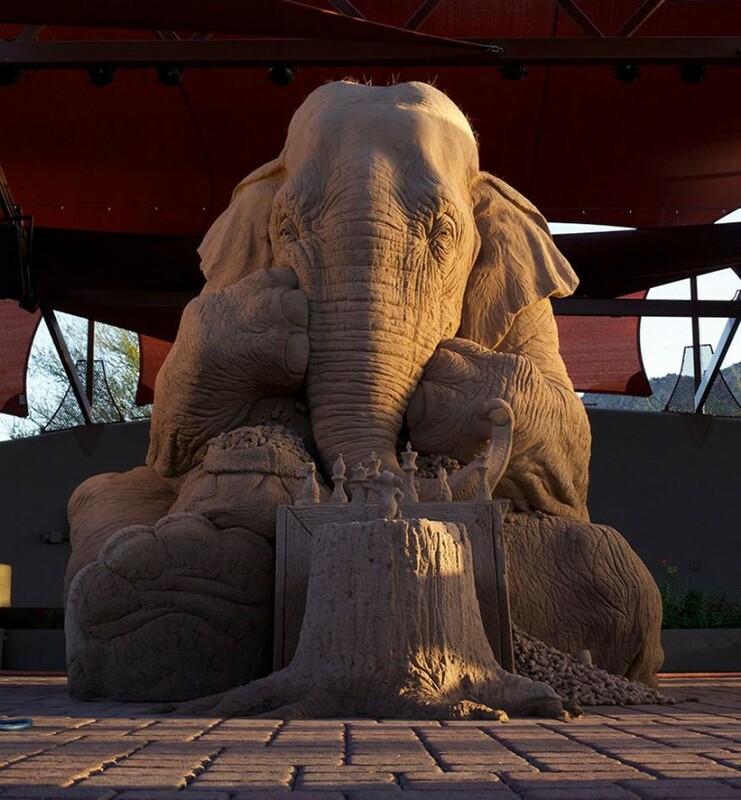 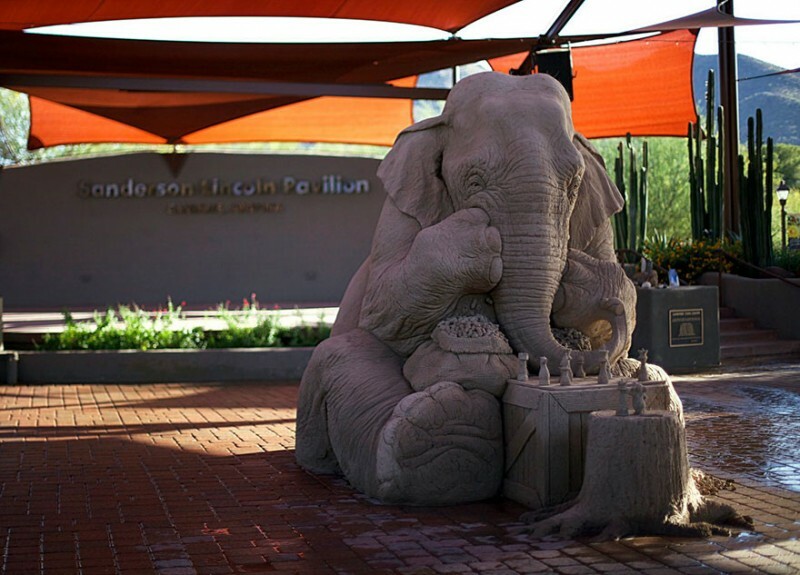 This nine foot height sculpture is on display under the Sanderson Lincoln Pavillion in downtown Carefree, Arizona until August.